Children who had experienced more intense and lasting stressful events in their lives posted lower scores on tests of what the researchers refer to as spatial working memory. They had more trouble navigating tests of short-term memory such as finding a token in a series of boxes, according to the study, which will be published in the June 6 issue of the Journal of Neuroscience. 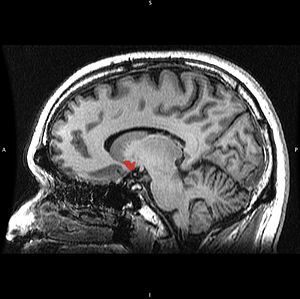 Brain scans revealed that the anterior cingulate, a portion of the prefrontal cortex believed to play key roles in spatial working memory, takes up less space in children with greater exposure to very stressful situations. “These are subtle differences, but differences related to important cognitive abilities” Hanson says. But they maybe not irreversible differences. The researchers determined stress levels through interviews with children ages 9 to 14 and their parents. The research team, which included UW-Madison psychology professors Richard Davidson and Seth Pollak and their labs, collected expansive biographies of stressful events from slight to severe. Interestingly, there was little correlation between cumulative life stress and age. That is, children who had several more years of life in which to experience stressful episodes were no more likely than their younger peers to have accumulated a length stress resume. Puberty, on the other hand, typically went hand-in-hand with heavier doses of stress. The researchers, whose work was funded by the National Institutes of Health, also took note of changes in brain tissue known as white matter and gray matter. In the important brain areas that varied in volume with stress, the white and gray matter volumes were lower in tandem. Gray matter early in development appears to enable flexibility; children can play and excel at many different activities. But as kids age and specialize, gray matter thins. It begins to be “pruned” after puberty, while the amount of white matter grows into adulthood. via Stress may delay brain development in early years.